"Savour the Vibrancy of Indian Food & Hospitality Industry"
AAHAR - International Food & Hospitality Fair is a flagship fair focussing on improving food standards in India. This event showcases products like Fresh Produce & Dairy Products, Confectionery, Chocolate, Desserts, Bakery Products & Ingredients, Organic & Health Products, Frozen, Canned & Processed Products, Meat, Poultry & Sea Foods, Cheese & Fine Specialty Food, Snacks & Convenience Food, Food Ingredients, Additives and Preservatives Coffee & Tea, Syrups, Juices & Energy Drinks in the Food and Beverages industry. 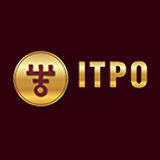 ITPO is in process of getting their infrastructure better by next couple of years. It would be an extant world class experience then. Outstanding exhibition. Neat and clean. Displayed beautifully. Good platform for hoteliers. Many things are there to see and purchase. Great experience.